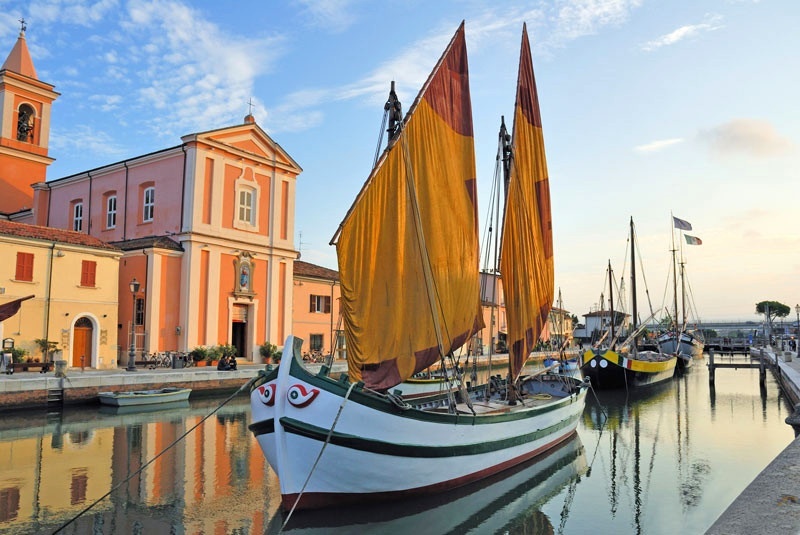 The current city seaside resort of Cesenatico was founded in 1302 as a port of Cesena. Over a kilometer, the Port Channel was rebuilt, in 1500, after a drawing by Leonardo da Vinci , who designed its division into two parts. 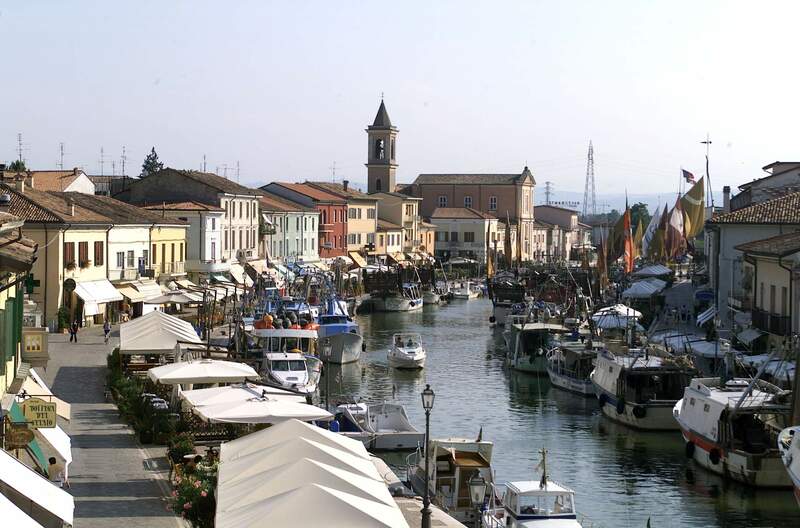 Today Cesenatico is subdivided in the historical part and the modern part, division that has developed over the years as a result of cultural and historical events that have occurred. Old Town is represented by the Port Canal, while the modern area and tourist finds its symbol in the Carducci promenade , which have sprung up along the hotels, shops, restaurants, pubs, bars. Walking along the canal harbor, you can relive the historical events that have crossed. For example, in Square Ciceruacchio , a profile of tiles of different colors brings out the plan of a watch tower, destroyed during the Napoleonic Wars. On the Corso Garibaldi , you can visit the house where they spent the night Giuseppe Garibaldi and Anita in flight from Rome to Venice in 1849. Also on the Port Canal, even today, you can see the last three preserves existing throughout North Italy. Built around 1820 and active until the early twentieth century, the preserves were structures that it came in the catch. The way in which they had been built maintained another caught at a temperature of -5 degrees even in summer. 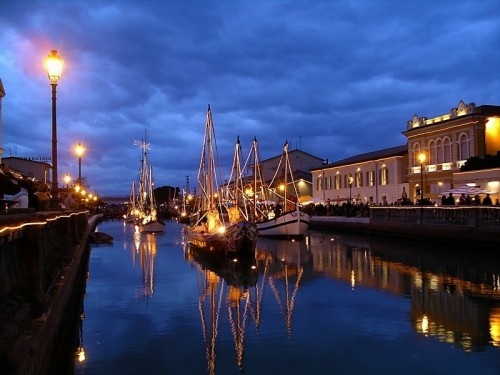 Cesenatico began to be affected by a flourishing tourism following the flurry of construction and expansion of the building took place after the earthquake of the year 1875. After two years, the City Council granted a loan to the country, that they might be made of public works, able to revive the look and restart a local economic path. is the context within which it was decided to create the first bathing , which opened May 22, 1878, that would allow to exploit the beauty and attractiveness of the beaches of Cesenatico. Since that date, thanks to the development and expansion of new communication networks, begins the birth of Cesenatico tourism as it is currently presented, with hotels, holiday camps, beach clubs and much more. By the mid-50s of last century, was built a rise on Viale Carducci, who was to be the symbol of modern Cesenatico. Select at least one structure.